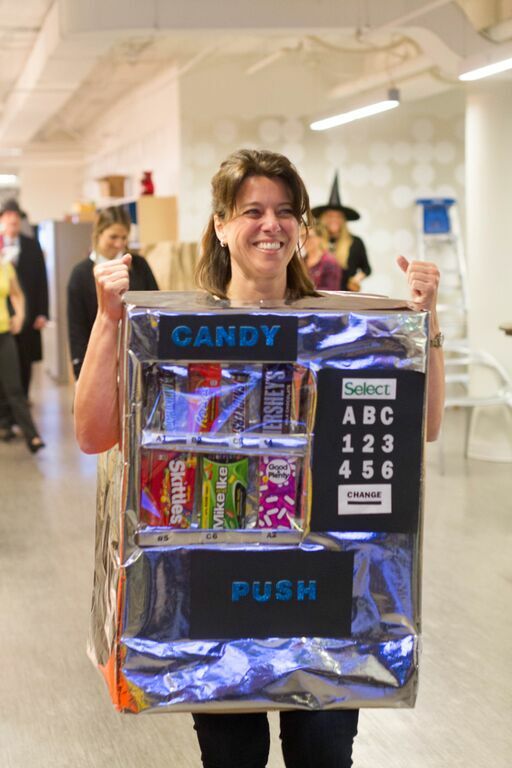 What happens when you combine two of Signal’s greatest traditions, Hack Week and Halloween? You get one enjoyably spooky “Hack-O’-Lantern”. Last week, another season of web development came to a close, and with it, Signalites dropped what they were doing and started hacking. 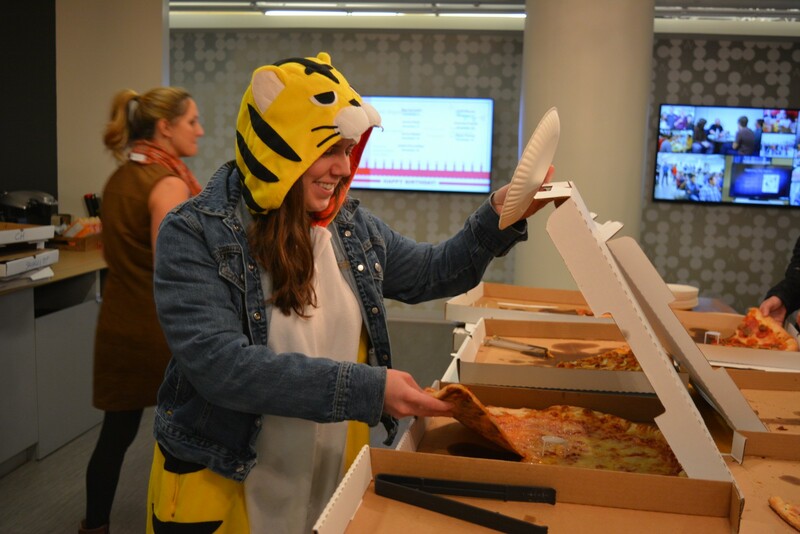 We spent five days working on creative, passion-driven projects that will improve day-to-day life and work at Signal. Signal CTO Eric Lunt kicked off this sixth installment with an opening brainstorm session in our dining room. Within minutes, Signalites filled the whiteboard with an elaborate lineup of hacks for the week. 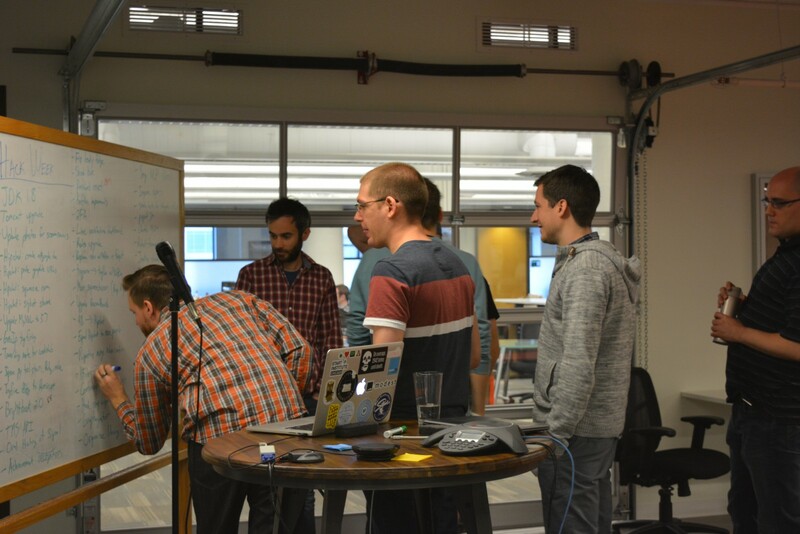 People quickly split into teams and started working on the hacks that interested them most. 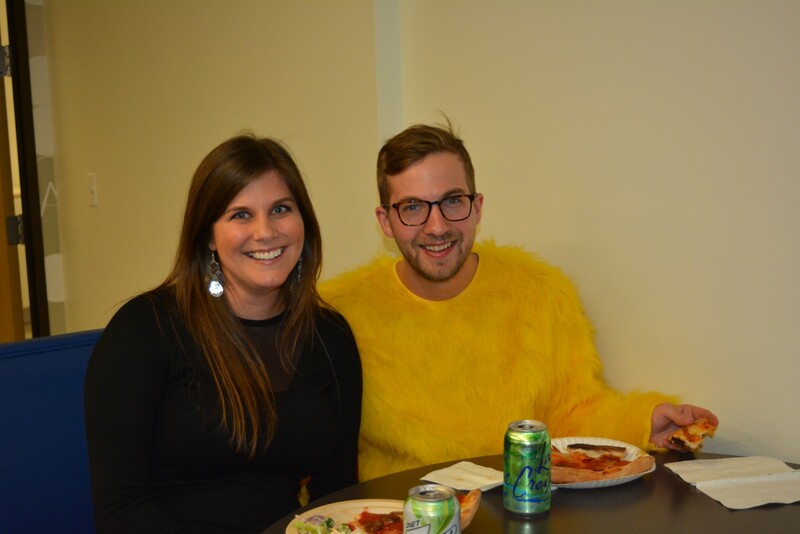 But working on an empty stomach is no fun, so our awesome Talent and Culture team arranged for lunches from some of our favorite local vendors, including Leghorn Chicken, Bridgeport Pasty, BroBagel, Burrito Beach, and Big G’s Pizza. 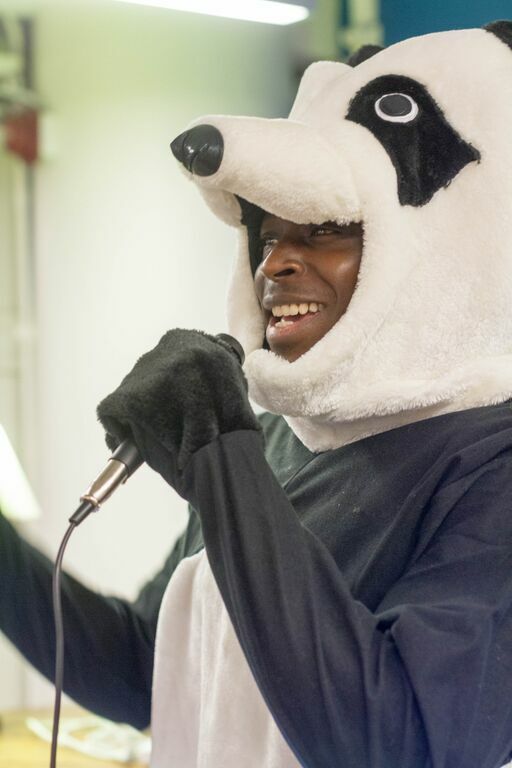 Since we are lucky enough to have a wide array of talent at Signal, a series of Signalite speakers shared some hacks and hobbies they pursue outside the office. Presenters included Andrew Violette, who runs Chicago Food Truck Finder; Caroline Lucas, who worked as a Peace Corps Volunteer in Armenia; Ryan Balla, on model railroading; and Will Grim, on the math, electronics, algorithms, and systems programming involved in building his own robot. I gave a talk, too, about my work on the Executive Board of Northwestern University’s Dance Marathon. 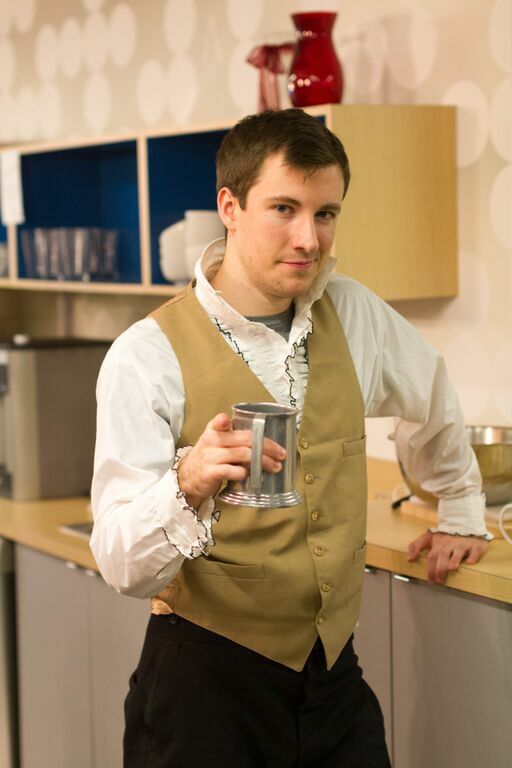 Eric Lunt connected a Hue-powered bulb to our Jenkins continuous integration server, to shine green, blue, or red, depending on the status of the build. Alex Behrens, Andy Konkol, Joshua Buss, Brett Kochendorfer, and Chris Walsh worked on an assortment of hacks to augment HipChat (the group chat tool we use at Signal), including a plugin that uploads Graphite images, a “differential diagnosis” plugin for troubleshooting and issue tracking, and a way to turn hashtagged “topics” into entries in a Google spreadsheet for easier tracking. Joshua Buss and Amie Chen created an interactive, zoomable view of our architecture, complete with real-time stats for the server groups and links. 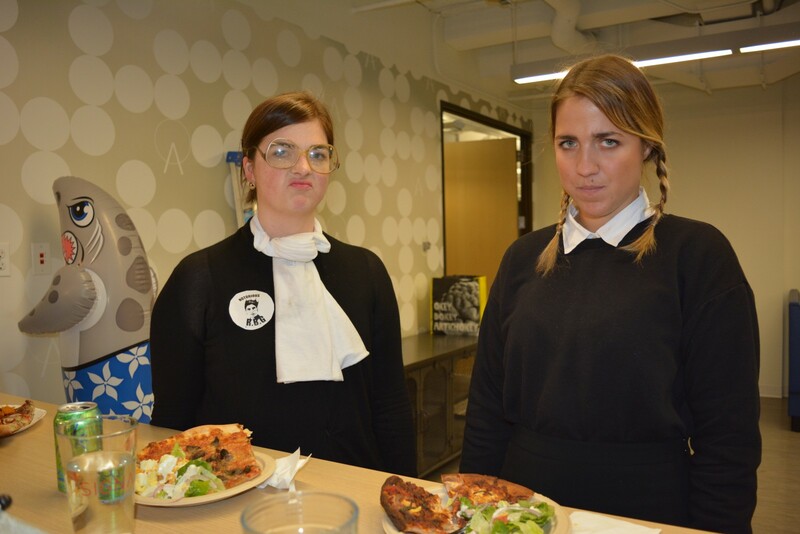 Best of all, the hacks were presented in full-blown Halloween costumes, from Signal classics like Gumby and a strutting chicken, to newcomers Benjamin Franklin, Ruth Bader Ginsburg, and Bender from Futurama. 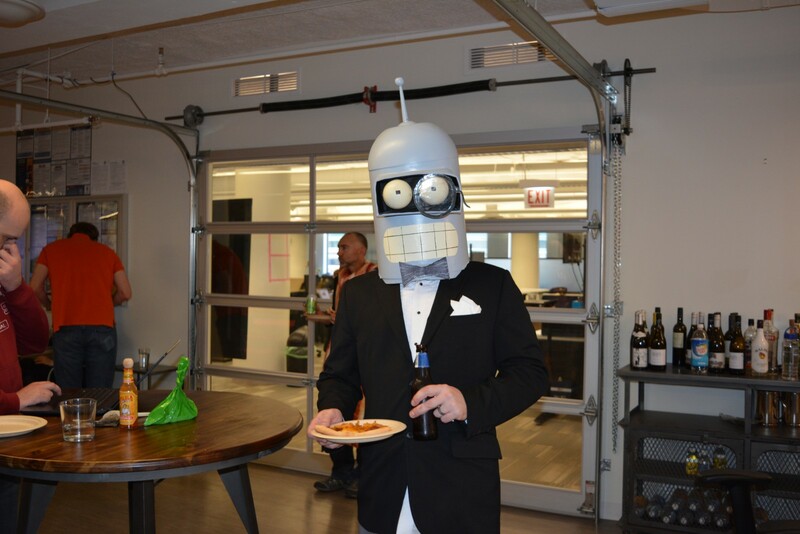 After Demo Day, Signalites showed off their Halloween finery on the Signal Costume Catwalk. 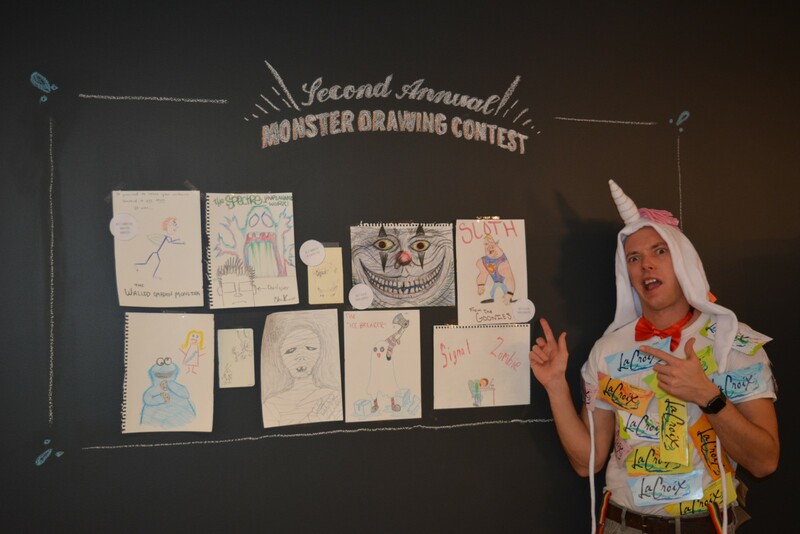 The office enjoyed other Signal Halloween traditions, including our Second Annual Monster Drawing Contest, a spooky dessert potluck, and a monstrous cocktail concoction. 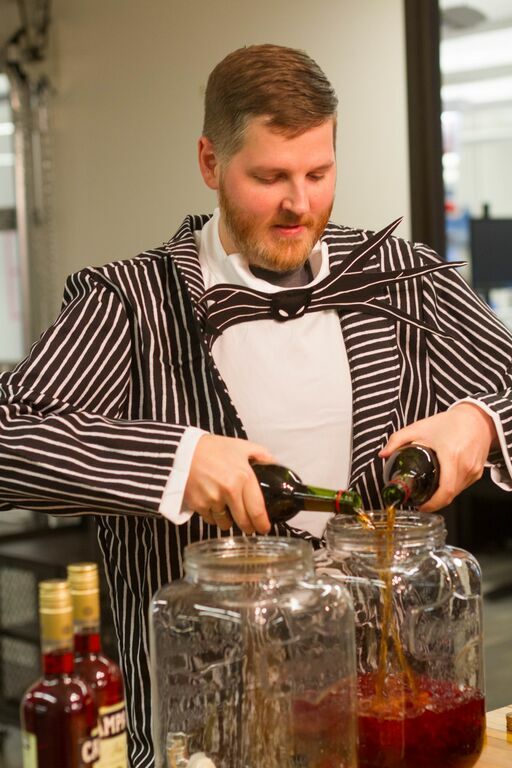 Check out some spine-chilling pictures below from our oh-so-frightening Halloween celebration. Photos by Jacob Greenberg and David Michaels.